At SUN ‘n FUN Fly-In and coming up FAST from behind in this maneuver of the Heavy Metal Jet Team is the Lead Pilot. Team member names are: Snort, Jive, Rook, H-Dog, Stroker and Lunar. 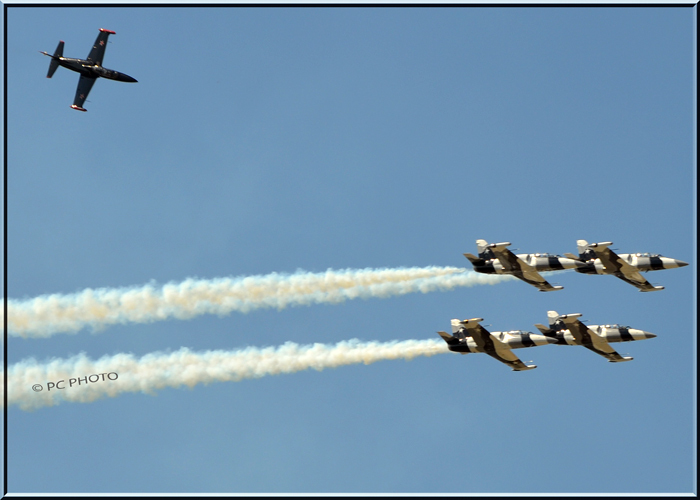 They will attend 18 air shows in 2011, stop by http://www.heavymetaljetteam.com to check their schedule. They do not disappoint!